Lollapalooza has announced the official 2017 lineup and tickets have already sold out before the lineup was announce. Chance the Rapper, Big Sean, Rae Sremmurd, Migos, Wiz Khalifa and more are all set to perform. 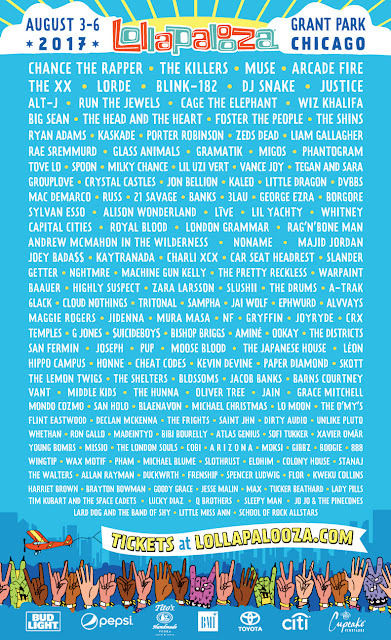 View the poster above to see the complete list of performing acts. The 2017 Lollapalooza festival will take place from August 3-6 at Chicago’s Grant Park.